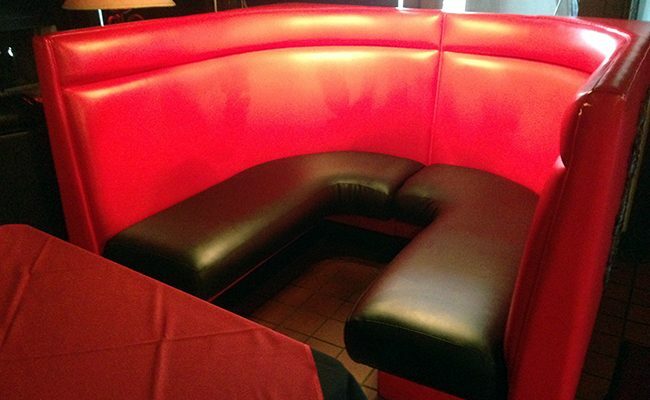 The popular Rococo restaurant in Oklahoma City has two special booths for large groups and VIPS. 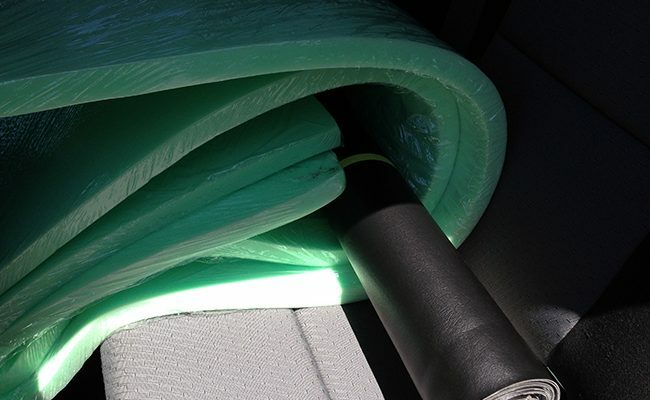 These “Gangster” booths as they are called see a lot of traffic and had become worn after 10 years of service. The bases were busted, ripped, faded (All Red Pictures) and just needed some attention. 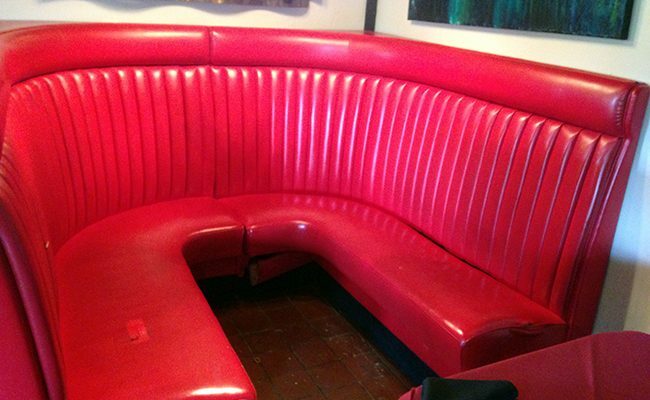 In an attempt to keep as much of the character of the existing booths, we repaired as much of the red vinyl as possible and replaced the bases, foam and vinyl on the bottom half. 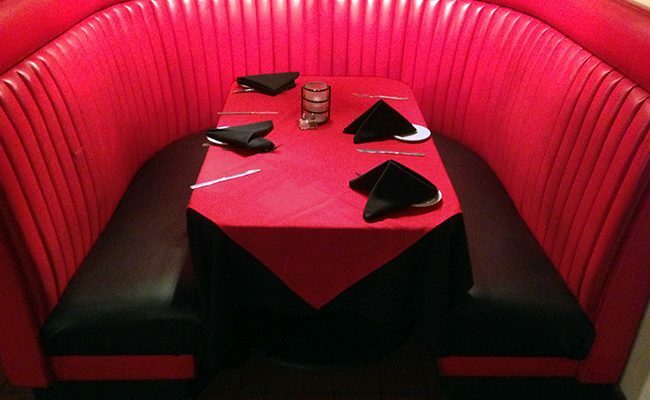 With no way to match 10+ year old red vinyl, we used a durable black (After Pictures) to create a dramatic appearance and make cleaning easy (very important in a restaurant). 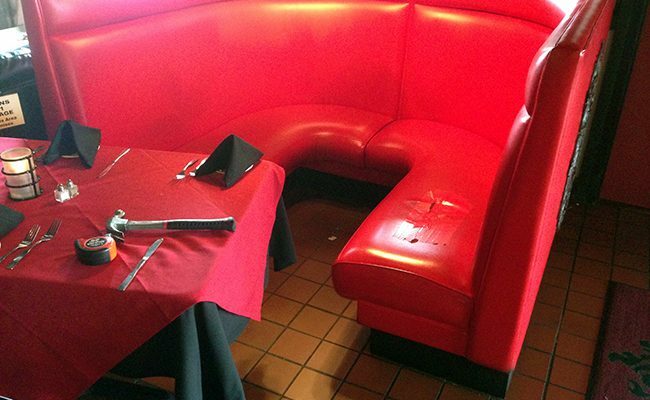 For a much smaller investment than replacing both of the 6 person booths, Rococo owner Bruce Rinehart got a clean new look for his “Gangster” booths with a simple base recover. If you get a chance to visit Rococo (2824 N. Penn Ave) check out the new Gangster booths and be sure to order the best crab cake in the entire Midwest.